I’m not missing parts. I’ve looked up the manual on vintagemachinery.org. I’ve looked up the manual for mine (28-243). 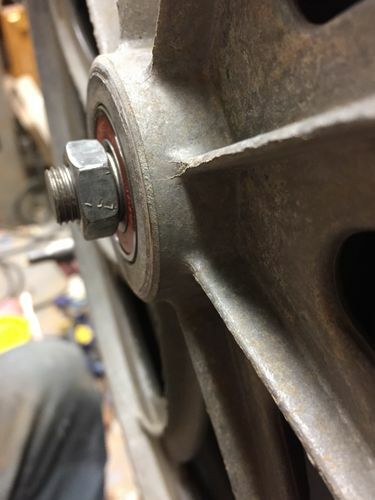 There is a gap between the nut and the bearing. 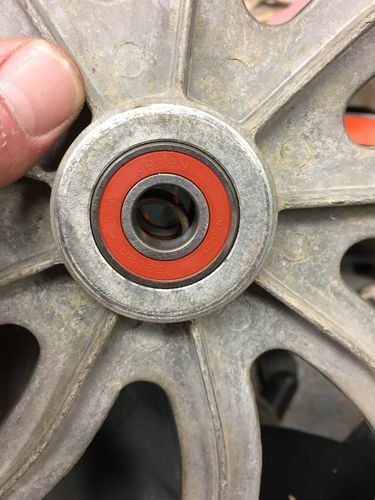 The only spacer I have or have seen required go in between the bearings. When the wheel is pushed all the way back it rubs. What year is the saw? Older ones used 87502’s (upper wheel), which have an extended inner race. What you got there are 6202’s, which don’t. Both have the same OD and bore. Not sure of the year but the extended inner race rings a bell. 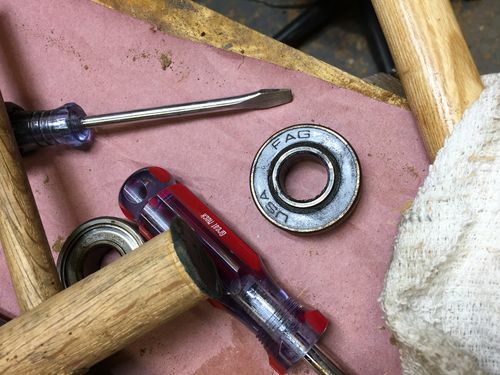 I’ll have to dig the old bearings up and double check but I’m pretty sure you are correct. Well hell. I guess I’ll prob just put a washer the proper thickness back there and cal it a day if that is the case. .153 diff between a 6203 & 87504. That would do it. thanks man. Edit: I looked up 6203. Durp. Yup… that 87504 was on the lower wheel. Both the 87502 and 87504 are identical to their 6202 and 6204 counterparts in every way except for the width of the inner race. 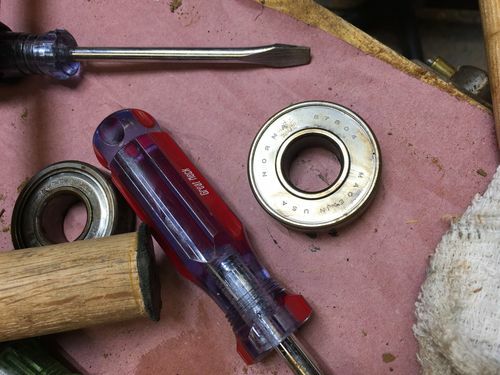 I took pics of all the bearings and I only had one with and extended inner race. Would that one be on the wheel side facing out? From the factory, that saw would either have ALL 875xx’s in it, or ALL 62xx’s in it – not a mix. And the extended races will face outwards. Your bearings know your leanings. It would make sense. They had an assortment of bearings. They also had hard bearing grease everywhere and it didn’t look like it was from the current bearings.